Our oceans have always been full of mystery, and those mysteries have inspired many fascinating stories over the centuries. We tend to think of sea monster stories as ancient superstitions, but the tale of the Bloop is less than 15 years old. In 1997, some US Navy hydrophones that had been in place for decades to detect Soviet submarines picked up a strange noise. According to some experts, the noise was biological in origin, though it was many times louder than the loudest animal sound ever detected. 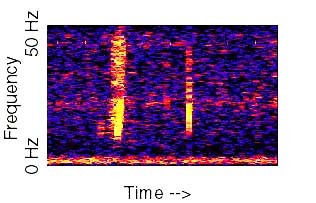 Hydrophones several thousand miles apart detected the sound. To date, there has been no satisfactory explanation for the Bloop. However, that doesn’t mean that it’s a previously-unknown giant sea monster. Brian Dunning of Skeptoid has posted a thorough comparison of the Bloop and other strange underewater sounds if you are interested in learning more. In the meantime, I’ll leave you with Brian’s closing words – “I don’t know… yet”. Ocean of Pseudoscience Shorty – Can methane bubbles sink ships? Dave, I am sending you a link to the sound files to this as well as other ‘Mysterious Sounds’ of the deep. Just in case someone inquires.